Send us an e-mail or use our on-line form. We will answer your questions as soon as possible. 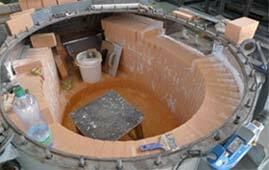 Elsklo Ltd. has over 18 years of experience in laboratory and industrial furnaces, kilns and industrial heating systems design and production. 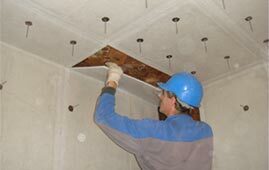 Major experience, specialization and competence of Elsklo engineers along with highest quality materials, recent technologies and workmanship are the quality qurantee. We provide general repairs and reconstructions of industrial furnaces, partial repairs of heating systems, insulation and electric equipment. We offer optimal sollution for various problems. As an authorized workshop of KANTHAL we produce metal heating elements and install original Kanthal heating systems. project, engineering and installation of original KANTHAL heating systems - Fibrothal, Tubothal, Ecothal-SER, etc. 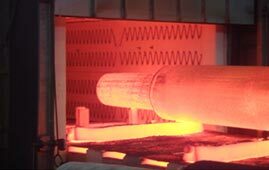 metalic heating elements for electric resistance furnaces and kilns - coil elements, meander shaped elements, tube elements, air heating cassetes, heating panels, InfraRed heaters, etc. heat resistant insulation materials - lightweight bricks, mortars, concrete, Silicon Carbide products, fiber insulation materials - mats, plates, preformed modules, Kanthal Fibrothal system, etc.